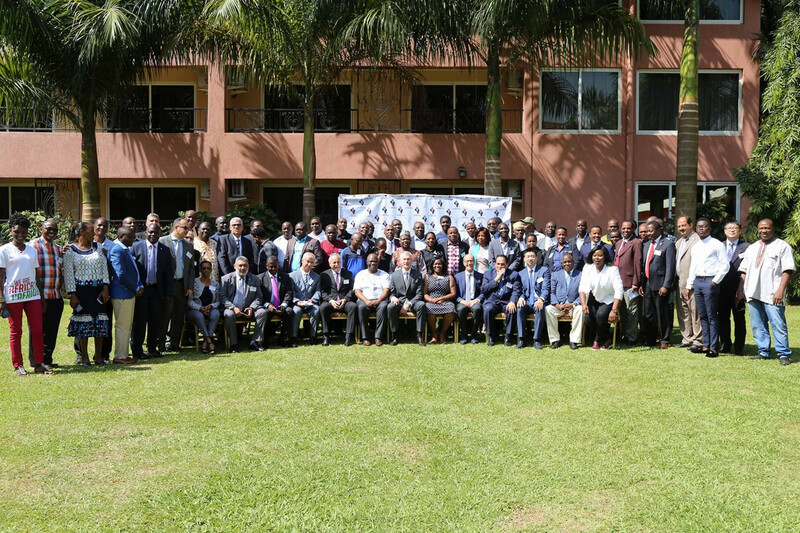 The South African was voted into the position at the FASU General Assembly in the Ugandan city of Entebbe. Mahlangu, the University of Johannesburg's senior sports director, will now serve in the role for the next three years. "Thank you, I am humbled," Mahlangu said. "I am looking forward to the challenge ahead. "It’s never about us, but this beautiful continent, for the love of sport and life. "We continue to serve and improve our continent for the benefit of our children. "It is a combination of efforts that will propel us to greater heights." The International University Sports Federation (FISU) welcomed Mahlangu’s election, claiming that the appointment of more women to leading roles of sports administration and governance demonstrates the importance members of the University Sport Movement place to equal access of opportunity. FISU highlighted the inclusive opportunities across university campuses and a balancing number of athletes competing at the Winter and Summer Universiades and World University Championships. FISU President Oleg Matytsin was among those present at the General Assembly, which also doubled as an opportunity to have a further "strategic dialogue". The theme of the strategic dialogue was titled "shaping the future by sharing the vision". The event featured panel discussions, presentations and debates covering topics such as the status of FISU programmes, partnerships and strategies for the future. The success, lessons, challenges and way forward as far as hosting and competing in university sports events were also discussed, along with advancing opportunities for women in sport. "Africa is a great part of our history and a great potential for our future as FISU, and together we can build for the future of university sport for our children and generations to come," Matytsin said. "The best way we can do justice to our past is to be ready for our future. "You are responsible for the future of your continent, the future of your sports and the future generations. "This dialogue was very important in shaping that future. "Just because one approach worked for the last 70 years does not mean it will automatically work for the next 70. "The best athletes do not simply repeat the previous year’s training plans without asking questions about improvement. "We must do the same. "We must consider all of our work from a strong strategic perspective. "Just as athletes consider new competitors and new techniques, it is important for us to identify big shifts in our environment and the opportunities they might bring."